A chance to catch up on five stories from Oxfordshire which have been attracting attention this week. Oxford University has apologised to David Lammy after retweeting a post labelling his criticism "bitter". The original tweet, sent by a student, was in response to the Labour MP saying Oxford was "a bastion of white, middle class, southern privilege". Mr Lammy asked if the tweet represented the university's official position - at which point a senior staff member apologised and took responsibility. The row follows the university's report into its student population. Around one child in every classroom in the UK will suffer the loss of a parent or sibling - prompting calls for bereavement lessons in schools. The idea is being backed by Emma Turner and her teenage son Jamie, whose dad died when he was four. Oxfordshire-based charity Sobell House Hospice has developed a lesson plan to help children cope and support each other. Nobel Peace Prize winner Malala Yousafzai is to help plan parties at her Oxford college, after being elected as a social secretary by her fellow students. The 20-year-old is currently finishing the first year of a degree at Lady Margaret Hall. She was chosen to join the Junior Common Room (JCR) Executive Committee in elections at the college last week. Ms Yousafzai - who is studying politics, philosophy, and economics - was shot in the head, neck and shoulder by a Taliban fighter while travelling home from school in 2012 after writing an anonymous diary about life under the extremists. Image caption Steven Birkett worked at Chenderit School in Middleton Cheney. A teacher has been banned from working in schools in England indefinitely for uploading photos of pupils to the internet without permission. Steven Birkett, 47, admitted he put the pictures on a Russian website known to be frequented by paedophiles, the Teaching Regulation Agency (TRA) said. He was working at Chenderit School, Middleton Cheney, Oxfordshire, when he put them online between 2007 and 2017. The pictures were not sexual or indecent, the TRA said. 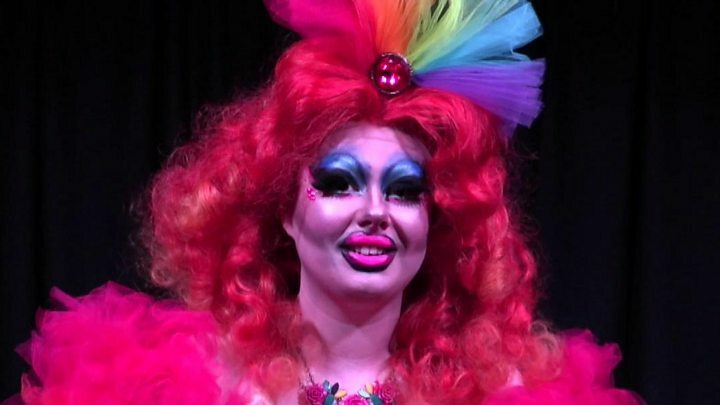 Ginger Tart is a drag queen with a difference - she's female. The performer, from Oxford, says she loves being glamorous and then "subverting it by being filthy".